I'm down with DOP. Yeah, you know me! Nelson's "Steppin' Out" series of unofficial Yelp events marches on. This time, it was round two at Chef Marc's Pastavino & Deli. 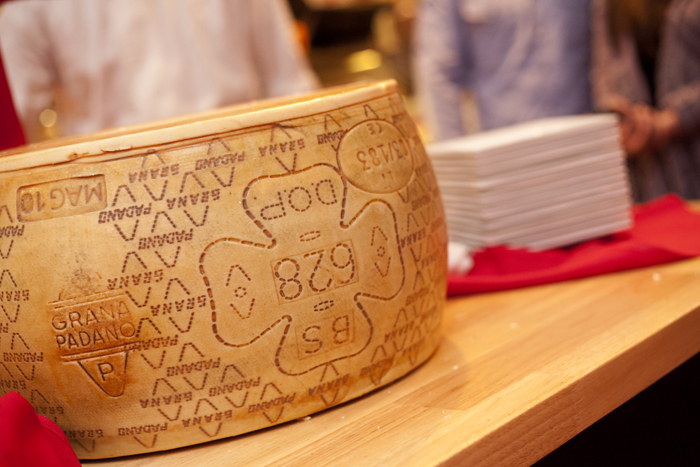 Like round one, the chef started us off with a Grana Padano presentation—we watched him open up an 85-pound wheel of 2-year-old cheese. Yum. Grana Padano is similar to Parmigiano Reggiano. Here is a good About.com article on them. 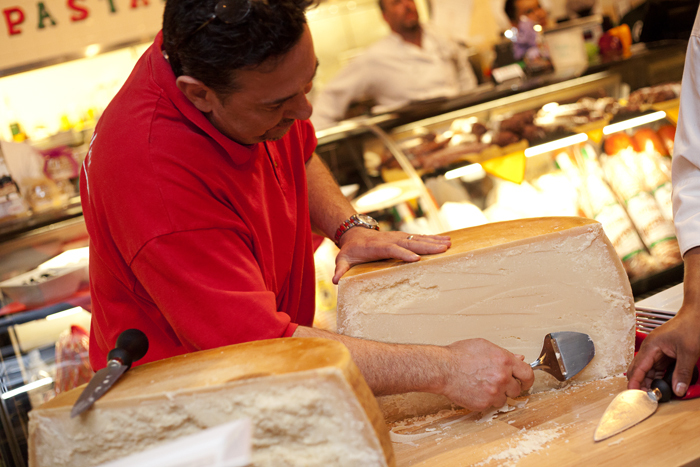 "DOP" is a designation that certifies that the cheese comes from a specific geographical area. Then it was on to our five-course meal. 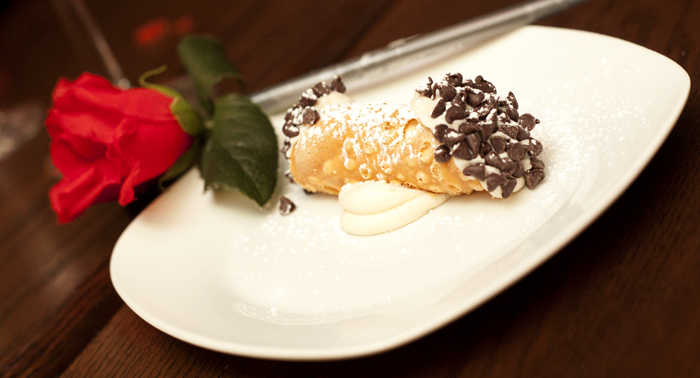 I only posted two of the five below (plus my complimentary cannoli). 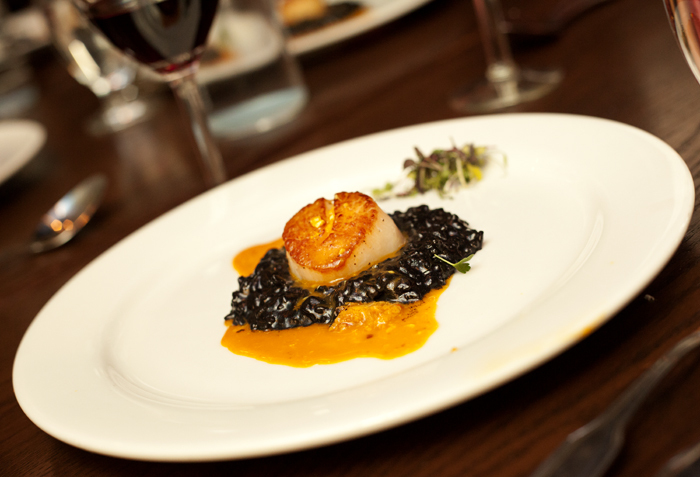 By far, the favorite dish of the night was the squid ink risotto topped with a scallop medallion and surrounded by a sea urchin sauce. OMG. 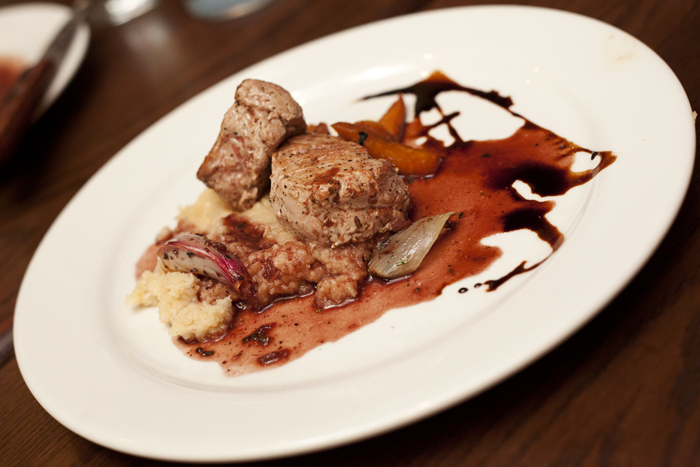 The combination of flavors in that dish was exquisite to say the least.